With all the hype building up around EA’s Battlefield 3, fans have probably locked in their pre-orders to guarantee their fix of adrenaline on day one, and maybe even reserve some free swag offered by various retailers. If you think you’ve finished loading your shopping cart for Battlefield 3 paraphernalia, think again. We’re pretty certain this one particular set piece is too lethal to pass up. 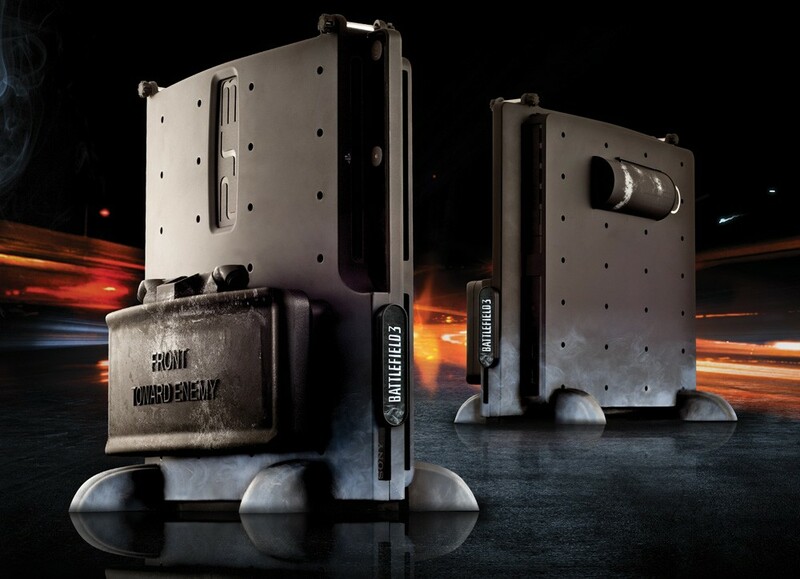 On Battlefield 3’s Facebook page, EA has revealed a new PS3 slim console accessory – what they are calling an officially licensed Battlefield 3 Vault. Designed by Calibur 11, a well-known maker of custom console accessories, this PS3 exp-skeletal case turned a few heads with its debut at a Best Buy Manager’s Show. No US date or price have been announced by EA, but the claymore-like fixture can be purchased for £69.99 and €89.99 in the UK and Europe, and will release on the 27th of October. Calibur 11 also states that their gaming vaults will add better stability, protection and cooling performance to your console, giving much more longevity to the console’s lifespan. 360 fans will be happy to know that a similar case will he happy to know a similar case will be coming to Microsoft’s console. Be on the look out for this awesome trophy stand that is sure to hit retailers soon!